Have you ever been on your computer doing important work and suddenly see a pop up for a software update? Have you ever been so busy you decide to update later but never do? The fact is, software updates are very important and sometimes we don’t realize it until the software stops working or we lose important information. If you have been ignoring important updates, please continue reading because once you know all the facts, the next time you see a software update you will gladly press the download button. 1. Why Are Software Updates So Important For Stopping Cyber Threats? Cyber threats are real. They expose sensitive information and put financial and personal information at risk. It is always sad when these threats are successful simply because people or even companies fail to update software and increase their cyber protection. There are several well-documented cases where companies have exposed the personal information of their clients to criminals, simply by failing to press that update button on a piece of software. The bottom line is that when it comes to IT security a lot is at risk if it is not taken seriously. If you have personal information about yourself, your financial information and that of your relatives and friends on the software you currently use then downloading updates is a must. Software updates often have not only security fixes but the latest features for the software as well. 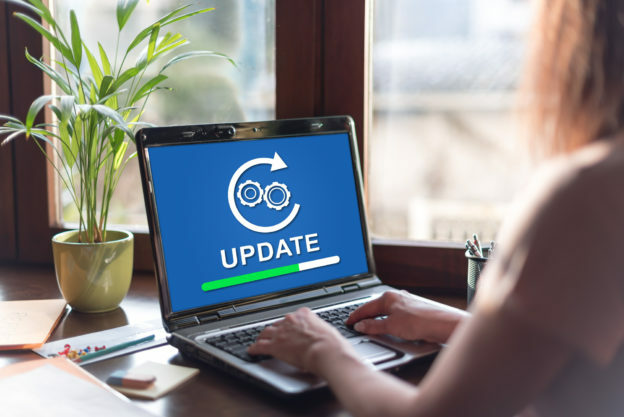 Passing on updates for your software could very well mean you are not in the loop when it comes to important features that could save you a lot of time. This is because updates often come with the removal of software bugs and the addition of features that may be slowing down the software. All these updates are sure to make your life a lot easier. Sometimes, failure to update software may mean that the software stops functioning and you lose important information. One way to avoid those annoying popups that you sometimes ignore is to choose to automatically update your software whenever this option is available. Some software makes it possible to choose the time of day you update or even how often. Scheduling and automating your updates this way will make them less of a nuisance. Automatic updates to software are something you can do for smartphone security as well, it is not just limited to computer systems. If you have software that doesn’t offer the automatic update feature then set reminders on your phone so that you can check for changes and update manually. Hopefully, you will take some time to update your software whenever you are prompted to do so. In the long run, a few minutes could save you a lot of problems. If you would like to get more information about software, cybersecurity and other tips that will help you to grow your business, please visit our blog. We have all the information you will need to keep your business growing.